Hungry for a bite to eat? Modesto has a wide variety of great restaurants, guaranteed to please even the pickiest of eaters. Mercedes-Benz of Modesto came up with four of our favorite restaurants in Modesto below, to help give you some ideas for your next meal. Harvest Moon is a homestyle American restaurant that offers a casual, yet intimate atmosphere. Enjoy hot crab and spinach dip, steamed mussels Rockefeller, or the popular Neil’s Toss salad with a zesty lime dressing at this popular Modesto spot. Surla’s is a modern cocktail lounge that’s perfect for a relaxing date night with your significant other. Surla’s cuisine is Asian Fusion eatery, influenced by Filipino, Korean, Japanese, Chinese, Hawaiian, French, Italian, and Spanish cuisine. Enjoy a diverse menu, with items like stone fruit pizza, crispy lechon, and a fromage plate. Galletto Ristorante is an Italian restaurant, founded by a family that values the joy of enjoying a great meal with great company. From the decadent Carbonara and garlic and burrata to breaded calamari steak and grilled fillet, there’s something on the menu to satisfy every diner’s taste. Beirut Falafel Hut serves Lebanese cuisine in generous portion sizes. Satisfy your taste buds with entrees like falafel with hummus and gyros packed with your choice of meat, lettuce, tomatoes, onions, and tzatziki. Explore More Places to Eat in Modesto with Mercedes-Benz of Modesto! From places to go during the summer to the best art venues, we’re experts on things going on around Modesto and the Merced areas. 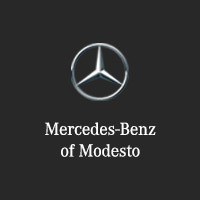 Contact us at Mercedes-Benz of Modesto for more local suggestions!